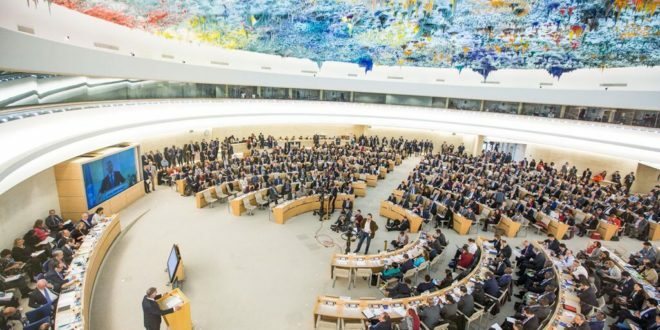 (23.10.2017) There are “reasonable grounds to believe crimes against humanity are taking place”, stated Sheila Keetharuth, UN Special Rapporteur on the human rights situation in Eritrea, at a major high-ranking international staffed conference held in Brussels this week. 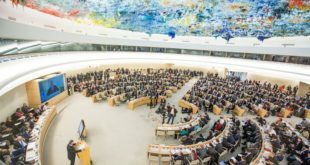 The dire human rights situation in the Horn of Africa nation— including arbitrary detention and extrajudicial executions—has “not improved in essentials”, she emphasised, despite consistent attention in recent years from the UN and human rights agencies. 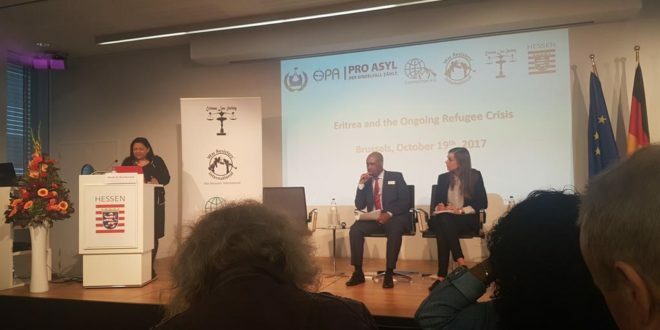 The ‘Eritrea and the Ongoing Refugee Crisis’ conference was a public event attracting an audience of over a hundred from more than 40 organisations worldwide, including supporters of the PFDJ, the Eritrean ruling party. Threats were made by some of these individuals against recent refugees to Europe, who gave their testimonies to the gathering, speaking about the reasons they left the country and the risks they faced in fleeing. 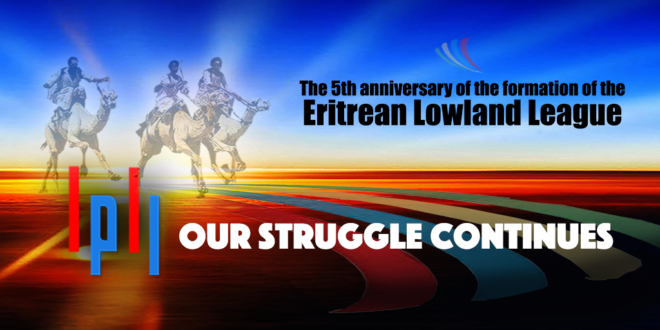 Eritreans in exile taking a stand against the regime continually face pressure from the regime’s loyalists in diaspora, including threats to the safety of family members still in Eritrea. 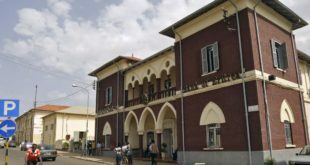 Eritrea, which has a population of around 5 million people, lives under one-party rule, without press freedom, and with an obligatory military service for men and women that lasts for an indefinite length. 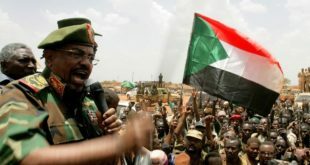 Eritrea experts, academics and activists in exile spoke at the conference about different aspects and consequences, arguing that military service exists primarily to “indoctrinate” and control, and has a disastrous effect on the economy. 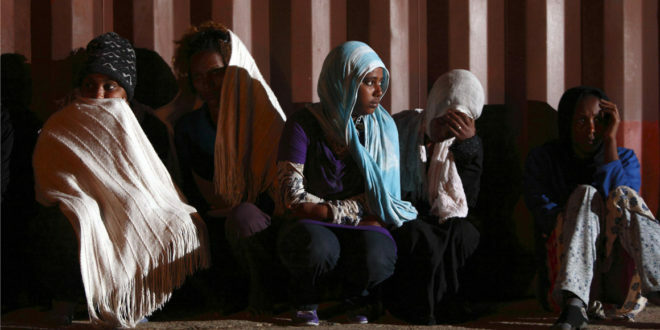 Eritrea is the fastest emptying country in the world and many of those fleeing the country are finding their way to Europe at great personal cost. Some European countries e.g. Germany, Switzerland or Denmark are downplaying the disastrous human rights situation and the danger of persecution and prosecution. 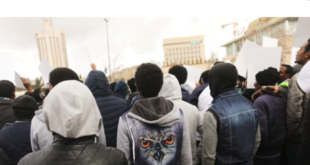 Therefore, the number of refugees who are accepted under the Geneva Convention is decreasing which is resulting in lower protection status and in some cases a rejection of the asylum application.